Fortunately, the beauty industry is quick to keep up with innovations to solve all of our beauty (and travel) woes. There are dry shampoos to replace having to travel with liquid shampoos – because, let’s be honest, most of the time the stuff they give you at hotels is rubbish. And now, we have cleansing sticks to replace liquid cleansers when we travel! Thank you, skincare gods. Or rather, innovative Korean skincare brands. 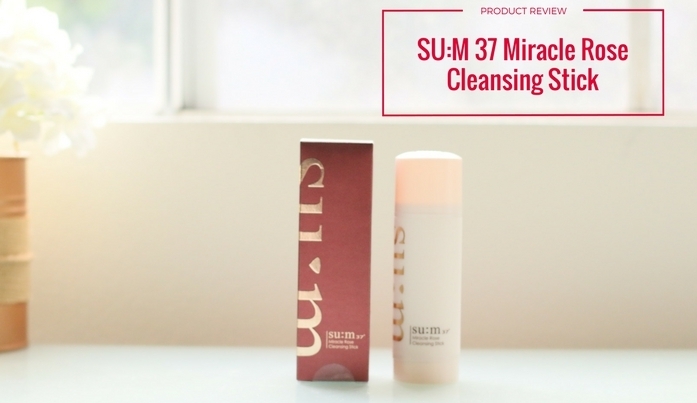 Su:m 37 is the first cleansing stick that I have tried. Belif also has one that I am itching to try after a recommendation from a friend. I love the fact that is a twist-up balm and that it’s so easy to use. I can see myself only taking this on short trips and balms also tend to last longer than liquid formulas. Fair warning though, the first couple of times I used the product I got some in my eye (and it burned like crazy!) because I wasn’t used to using a balm yet and didn’t think to close my eyes like I normally do with liquid cleansers. Don’t make that mistake – it took a good few rinses with water to stop the burning. Aesthetics wise, the product itself is infused with real rose petals, and has quite a strong scent. If you’re not a fan of rose scented products (some people think it smells like old lady) or floral scented products – you may not be a big fan of this product. On the contrary, if you do enjoy floral scents, you will really enjoy using this product. Performance-wise, it lathers up easily upon contact with water, and rinses clean, although it doesn’t give that “squeaky-clean” rinse after effect. Although I’ve been reaching for this more often lately, I still prefer my Three Balancing Cleansing Foam better at the end of the day as my everyday go-to cleanser. I guess I’m using this to help stretch out that cleanser since I’m running low. I would say that this is a gentle, mild formula for people who have normal/combination skin. I picked mine up on Amazon for $19.49. 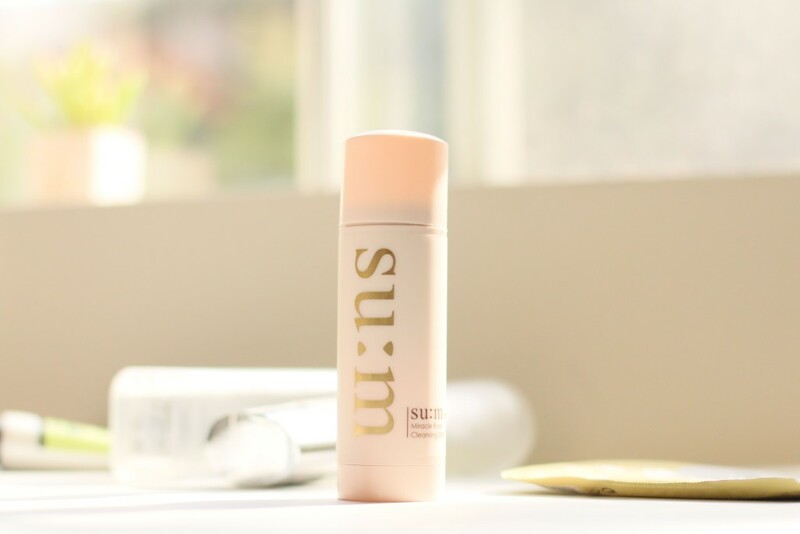 Soko Glam also carries this innovative cleansing stick and retails for $28. “This cleansing stick is a favorite for all the right reasons. The unique solid form in a twist-up tube gives you tons of washes in one stick and makes this the perfect cleanser to travel with or stick in your gym bag. The advanced formula has a delicate lather that will melt away daily impurities naturally. With over 90% natural ingredients, you’ll find bits of rose petals in the stick as evidence, plus fermented damask rose extract which has a lovely natural floral scent. This cleanser hydrates without leaving any residue behind with its gentle formula. Free from artificial colors, parabens, and synthetic preservatives, this is recommended for all skin types, even sensitive.